Douglas F. Shade age 67, of Ashland, passed away Sunday, February 3, 2019 at his residence. He was born November 24, 1951 in Mansfield, the son of the late Richard F. and Joan (Zimmerman) Shade. Doug had been employed with Faultless Rubber, Abbott Labs- Hospira in maintenance for 31 years before retiring in 2007. He was a Veteran of the U.S. Army and had served during Vietnam. He was a member of the American Legion Post 749. 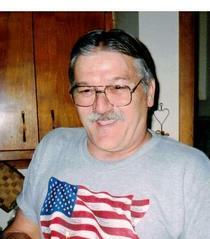 Doug was an outdoorsman who enjoyed hunting and camping. He also enjoyed motorcycles, classic cars, going on motorcycle rides, riding four wheelers, going to motorcycle races and tractor pulls which he attended for over 30 years in Bowling Green. Funeral services will be held at Heyl Funeral Home on Thursday, February 7, 2019 at 1:00 P.M. with Mr. Larry Frisby officiating. Burial will follow at Ashland County Memorial Park with Military Honors presented by the Ashland Veterans Honor Guard. Friends may visit with the family on Thursday from 11:00 A.M. until service time at 1:00 P.M. at the funeral home.